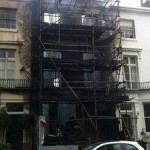 See what can happen to an existing structure during a renovation project. It can be often difficult to visualise what claims could occur, particularly if you’ve been fortunate never to have suffered a significant insurance claim during your life. A couple of the more serious losses we have seen are set out below. They illustrate quite graphically how important getting your insurance right needs to be within your priorities in the project. It is quite possible for a total loss of a property to occur. More often than not, a partial loss will occur which – if the building is listed – can often be more expensive to repair because the listing has not died with the property. What most people consider almost impossible to burn sometimes does and in dramatic fashion. 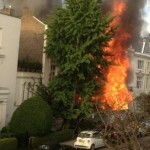 This west London property caught fire in the early hours of the morning with contractors on site. 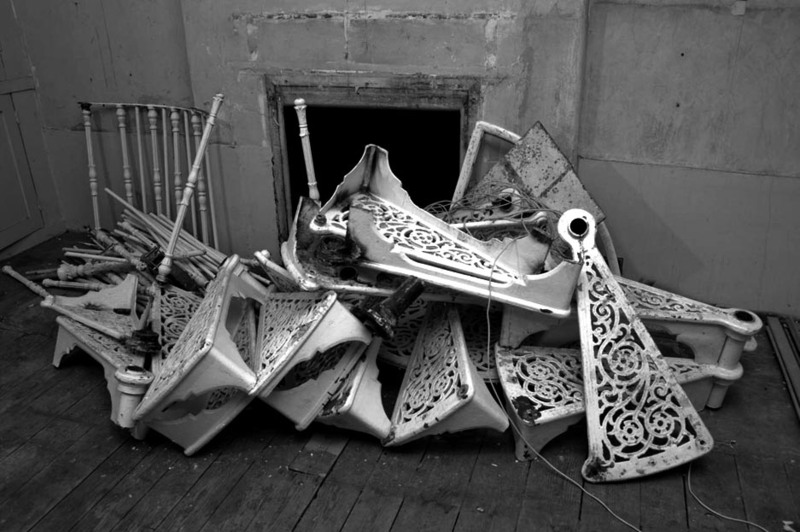 It was fuelled by debris and rubbish stored on the lower floors ready for collection and was impossible to put out. 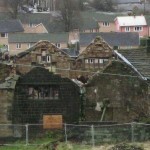 The post-loss photos clearly show that there is no roof or internal structure left to the property. The salvage work will be very expensive because of the location and because the front facade may need to be retained depending on the listing status and area restrictions. There will certainly need to be a lot of shoring up work to the property and perhaps the surrounding property to make sure that a collapse does not take place. 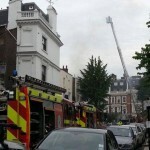 The estimate for this loss is £4m plus the neighbouring properties at £1,500,000 each. 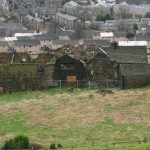 This loss occurred on a Grade II* property in Yorkshire which was suitable only for indemnity insurance. 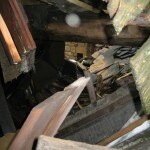 Just prior to the start of renovation works a heavy storm occurred, the pressure of which caused the roof to collapse. Because of the listed status and the fact that it was a partial loss, English Heritage took significant interest in the reinstatement of the property and the costs associated with the project quickly spiralled upwards. The policy holder was unable to clear the debris from the site using mechanical means, and so began the painstaking job of removing the debris by hand where possible to salvage all of the useable existing materials. Furthermore during the restoration of the property it was decided that only a mix of kiln dried oak and salvaged timbers could be used. This caused significant delay and increased the costs associated with the project by a factor of about 20%. 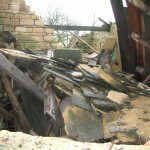 Just prior to the start of renovation works a heavy storm occurred, the pressure of which caused the roof to collapse. The policy holder was forced to incorporate materials that were partially damaged within the rebuild, making the use of non-heritage specialist craftsmen almost impossible. This again introduced delay and additional cost. The project overran by two years, with the costs of the loss amounting to £270,000. 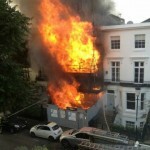 Had the sum insured for this property been inadequate the effects could have been catastrophic.